Mawrth Vallis contains clay minerals that formed by chemical alteration of rocks by water. 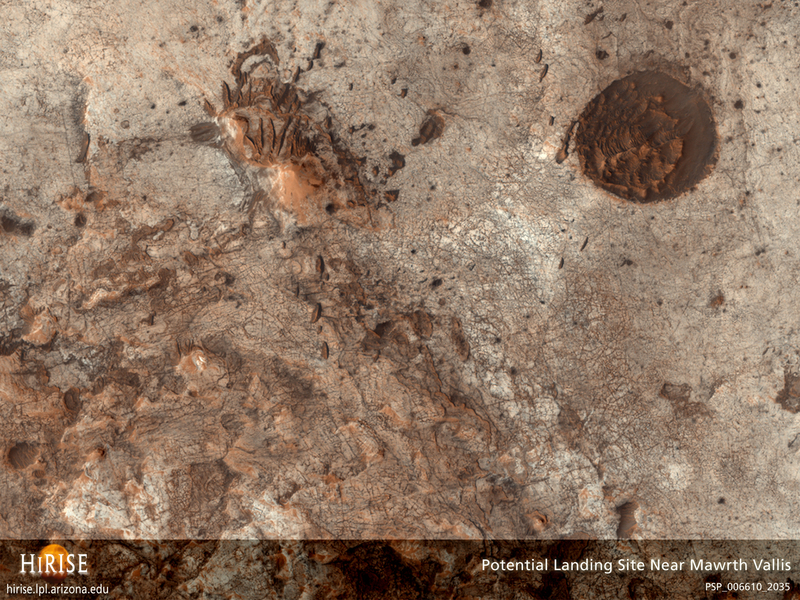 It is one of the short list of potential sites that the Mars Science Laboratory rover will land at, and the HiRISE team is working to find a safe place to land in this area. This observation shows a wide variety of scientifically interesting terrains as well as some potential hazards for landing. The central part of the image is dominated by light-toned materials with curving fractures of many different sizes. These fractures do not have a preferred orientation, indicating that they did not form in response to some regional stress pattern. This is a stereo pair with PSP_008179_2035.